Your little girl's wardrobe is not complete without a tutu in it. Whether it is for a birthday, dance recital, special pictures or just to wear for fun, these tutu's are sure to be a hit. Select your schools colors and take your little one to a game. What flower girl would not look adorable walking down the aisle in a tutu? 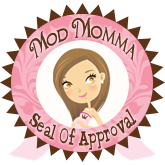 Whatever the occasion, you can count on the quality of a tutu from Maddi & Me Boutique.